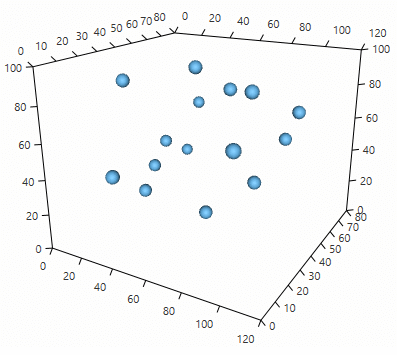 This article will walk you through the creation of a sample application that contains a RadCartesianChart3D component. You can find the required assemblies for each control from the UI for WPF suite in Controls Dependencies help article. 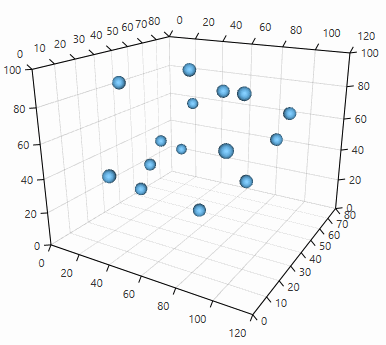 To display the RadCartesianChart3D you will need to define it along with its axes (see Example 1). You can find more information about the chart's axes in the Axes help article. At this point the viewport of the chart is rendered. The data in the chart is presented with the chart series objects. You can find more information about this in the Series section of the help documentation. For precisely reading the elements in the 3D space you can enable the chart's grid. You can read more about this in the Chart Grid help article. This section demonstrates how to setup the chart from Example 1, but in a data binding scenario. The size of the chart's plot area can be changed via the PlotAreaSize property of the chart. The property is of type System.Windows.Media.Media3D.Size3D, thus allowing you to set all 3 dimensions of the area. 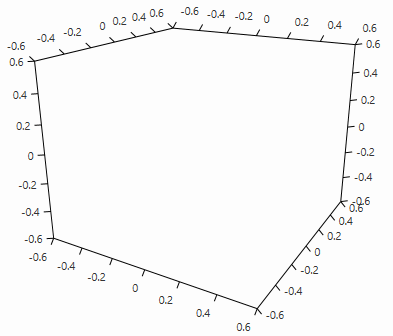 The plot area is the space locked between the axes, where the series are drawn. In order to interact with the chart's scene you can use the Chart3DCameraBehavior. You can find more information about this in the Camera Behavior article.